South Korea has been getting lots of love recently for its Hallyu Stars and TV Series as well as for food and delicacies. Korean Restaurants have popped up here in Davao City as well. 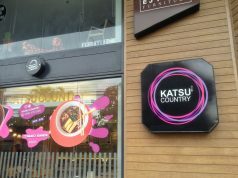 NCCC Supermarket brings Korea not just to Hallyu Fanatics but for food lovers too! 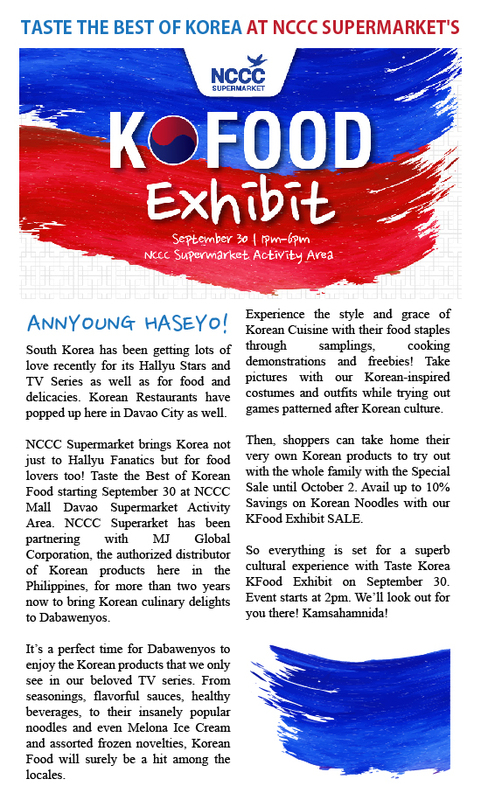 Taste the Best of Korean Food starting September 30 at NCCC Mall Davao Supermarket Activity Area. NCCC Superarket has been partnering with MJ Global Corporation, the authorized distributor of Korean products here in the Philippines, for more than two years now to bring Korean culinary delights to Dabawenyos. It’s a perfect time for Dabawenyos to enjoy the Korean products that we only see in our beloved TV series. 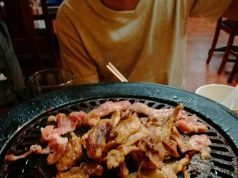 From seasonings, flavorful sauces, healthy beverages, to their insanely popular noodles and even Melona Ice Cream and assorted frozen novelties, Korean Food will surely be a hit among the locales. Experience the style and grace of Korean Cuisine with their food staples through samplings, cooking demonstrations and freebies! Take pictures with our Korean-inspired costumes and outfits while trying out games patterned after Korean culture. Then, shoppers can take home their very own Korean products to try out with the whole family with the Special Sale until October 2. Avail up to 10% Savings on Korean Noodles with our KFood Exhibit SALE. So everything is set for a superb cultural experience with Taste Korea KFood Exhibit on September 30. Event starts at 2pm. We’ll look out for you there! Kamsahamnida!